Like most OKC foodies, I was deeply saddened when the famed Golden Phoenix restaurant in the Asian District burned down last year. The fact that Golden Phoenix could come to such an ignoble end while only a few blocks away an Arby’s stood unmolested was proof to me that there is no justice in the universe. I needn’t have worried. Continuity is the word here. Everything is as it was, down to the classy decor and novella length menu. I didn’t have a ton of cash to work with today, so I decided on a simple Broken Rice Platter served with grilled pork. It’s a lighter entree than you might expect, and comes with a small salad on the side. For a couple dollars more you can have your pork topped with a fried egg. Like much of what you’ll find here, it’s a simple, rustic and entirely satisfying Vietnamese meal. The menu is more or less evenly split between traditional Chinese items, Vietnamese items, and some American Chinese choices for your less adventurous friends. 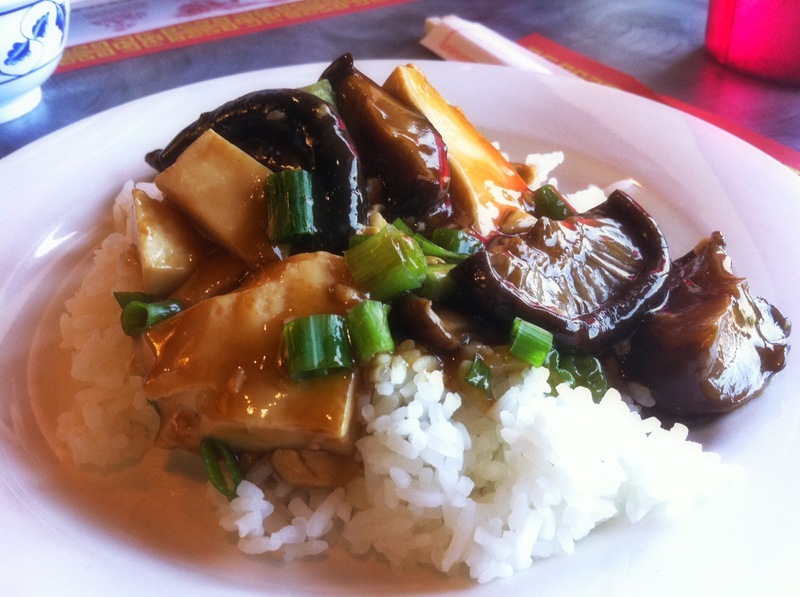 Managing Editor Helen Grant had an entree of mushrooms (shiitake from the looks of them) and tofu in a black bean sauce. It looked a little heavy to me, but the verdict came back mostly positive. She said the mushrooms had been soaked in a rice wine vinegar and stock of some sort and that the tofu had been medium to firm. The black bean sauce, she said, was not very salty and had garlic in it as well. Green onions topped it all off. The portion sizes are gigantic, so be prepared to take some home with you, or to share with a friend. One of these days, I’m going to get the $29 seafood hot pot; it’s one of the few things here that I haven’t had yet. Going to Golden Phoenix today was like visiting an old friend you haven’t seen in a while. I left thinking “we should do this more often.” It’s a comfortable, casual spot to eat lunch and forget where you are for a while, and it is a worthy anchor in this diverse neighborhood. 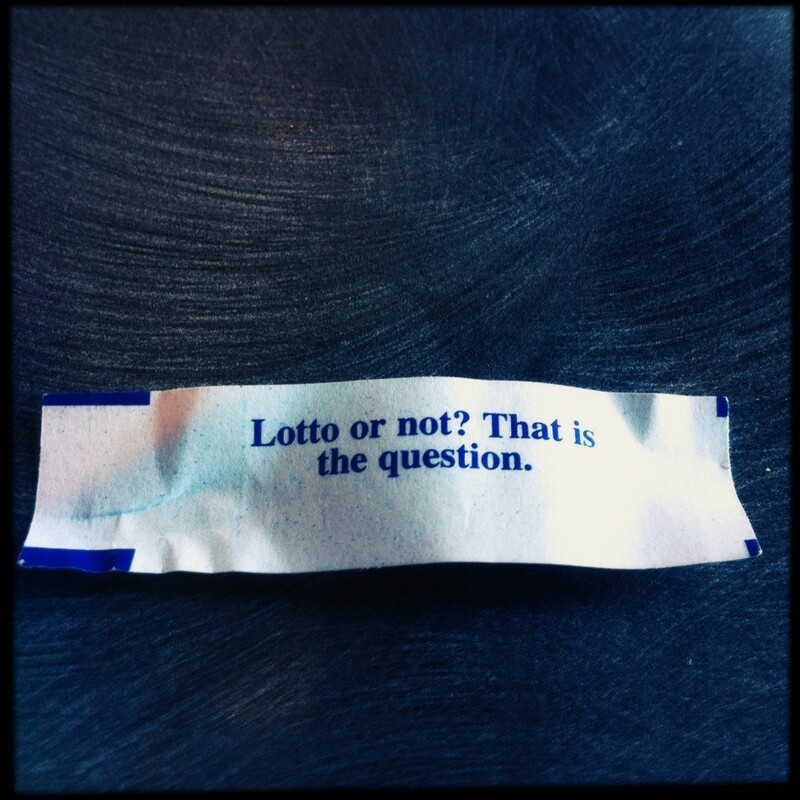 Also from the big book of brilliant ideas: a lottery ticket vending machine called The Lotto Grotto. Tagged American Chinese, Asian District, Broken Rice Platter, Classen Blvd, cs, Golden Phoenix, NET, OKC, Oklahoma City, pot, seen. Bookmark the permalink.